Several months ago, I went on vacation to Hawaii with my family. After we had been there several days, my wife surprised me by signing me up for a snorkeling trip. It was a chance to be out on a boat in a beautiful ocean with beautiful scenery. It was also a chance to enjoy the surroundings without my wife and three children. The boat I went on was pretty crowded, but most of the passengers were adults. I sat next to a man in his 30s who was traveling with a 6- or 7-year-old and an older woman (presumably his mother). I struck up a brief conversation with him and then sat back to enjoy the ride. Shortly after we left the dock, I heard a cell phone ring. I looked over and the 30-year-old was having a conversation with what appeared to be one of his clients. The conversation did not last very long and my mind soon returned to tropical fish and whale sightings. A few minutes later, the phone rang again (another business call from the subject matter it sounded like he was a lawyer). When the phone rang a third time, I had had enough. I turned and said, "Will you please turn that thing off?" Immediately his mother chimed in, "He's got important business to take care of!" To which I replied, "Get a life!" and then did what I should have done before: moved to another part of the boat. Technology has made dramatic changes to the way lawyers work. In many regards, the personal computer, voice-mail, e-mail, the fax machine and the cell phone have made it possible to work almost anywhere. On the plus side, busy professionals can now get home in time for dinner and still be connected to the office once the kids are asleep. But as this story illustrates, there are downsides to technology. As a new lawyer, it is important to know your priorities. As you move through different stages in your life, your priorities will change. For example, as a new lawyer, you should be eager to learn your craft, get interesting work and make a good impression on your superiors. As a partner, you might be trying to balance work with business development and spending time with your family. If you care about balance, you need to spend time thinking about what your priorities are at each stage. Taking responsibility for your own career is another important aspect of achieving balance. Due to the economic climate in law firms today, even the most well-intentioned managing partner tends to focus heavily on the bottom-line and not on helping associates achieve work/life balance. Firms may have flexible work policies in place; but you need to figure out how to make those policies work for you. Finally know that you can't have it all. If you want balance, by definition you need to make compromises. You can't work 100 percent, be there for your family 100 percent and take care of your own needs 100 percent. Something has to give. If you are like most new attorneys, you entered the practice of law because you wanted professional fulfillment and because you wanted to earn a good living. But if you are like most of your peers, you also want to have balance between your personal and professional lives. If you recognize this early in your career, there are things you can do to ensure that you have this balance. Here are five strategies. 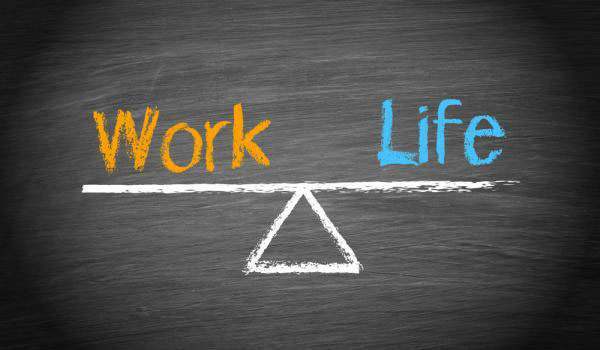 Strategy #1: Invest in your career and save work/life balance for later. When you are young and unencumbered, it is easier to work long hours or plan a business trip with little advance notice. Try to become a "yes" person in the early years of your career. Develop the reputation for working hard, doing good work and getting clients the results they want. And get the training you need to become a great lawyer (through CLE courses, internal training, asking for feedback from your superiors, bar association committees, etc.). While this is inconsistent with work/life balance in the short run, once you've proven yourself, you will have more ability to negotiate a flexible arrangement. Strategy #2: Build professional relationships. Build relationships inside and outside your firm and in and out of the law. There are two reasons why. First of all, professional relationships will help you build a practice. If you become a source of business, you'll have much more bargaining power if you need to negotiate a change in your schedule. Second, professional relationships can help you find another job if you need to move to achieve the balance you want. Strategy #3: Develop the "right" expertise. Some matters lend themselves to predictable workflow; some don't. In corporate this might mean finance, general corporate advisory and SEC compliance. In contrast it is harder to do mergers and acquisitions and IPOs if you are trying to maintain a flexible schedule. In litigation, this may mean giving up emergency litigation. It may be exciting to help a company obtain a TRO but TROs are unpredictable. In short, you want to have a proven track record of doing work that lends itself to part-time or predictable work. Strategy #4: Make technology work for you. Mobile computing and mobile phones are part of what makes working away from the office possible. Technology is also a way to improve your efficiency. Experiment until you find a mix that works for you. Get the proper training you need to use these tools; it is time consuming but well worth the investment. One caveat: Technology should not tether you to your work on a 24-7 basis. Use it to make yourself available when you are not in the office. But don't use it so that you can work all the time even when you are supposedly on vacation, out socializing or spending "quality time" with your children. Strategy #5: Schedule time for yourself every day. Do something you like. Whether it is exercise, reading or whatever gives you pleasure, at least get out of the office once a day. This will help you prevent burnout and make you more productive when you are working. Write the activity into your schedule and consider it as binding as a conference call. Over time, you will need to assess the culture at your firm (it can take a year or two to figure out what the future really holds for you at a firm). If after a significant investment of time you conclude that you will be unable to achieve the balance that you want, then you can always consider a move. You need to remind yourself that you are a highly educated professional with options. I recently helped a lawyer negotiate a permanent part-time arrangement at another firm. This was not a working mother but an unmarried male attorney who tried for two-and-a-half years to make things work at his old firm. I know of a corporate associate who recently assumed the role of part-time general counsel. After working long hours at a large Boston firm for six years, she will now be job-sharing with another working mother. Firms are increasingly creating staff attorney positions that are off track and have no marketing responsibilities. And rising billing rates will put pressure on more companies to bring their legal work in-house (meaning more opportunity to discuss part-time arrangements with companies). In closing, let's go back to the story on the boat. That lawyer was on vacation in a beautiful spot. He was there with his family. But he wasn't really there. He might as well have been back at his office. Is this the vision you have for your life? If it isn't, then start working on creating some options for yourself while you have the chance. 1 In the coming year, the Implementation Committee of the BBA Task Force on Professional Challenges and Family Needs will be working hard to identify these models of success and will publicize them to the legal community. Enhance Your Lateral Hiring: Delegate to Your Search Firm!